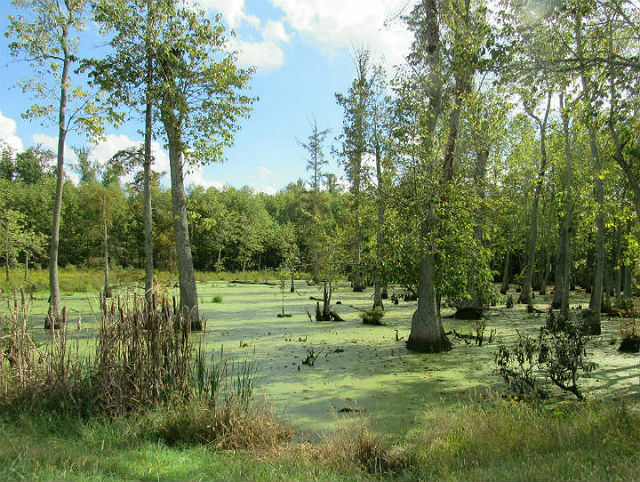 While walking along the edge of a cypress swamp in southern Illinois, I encountered this iconic tree. 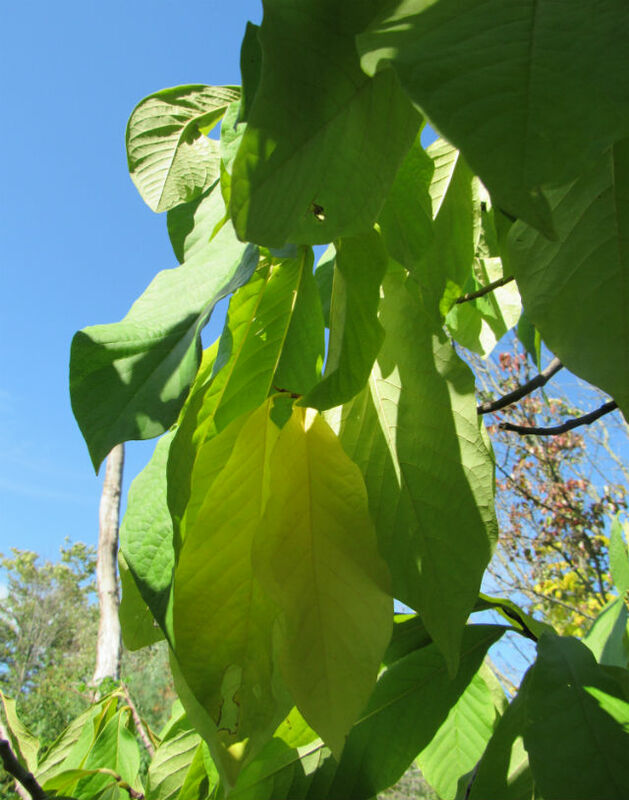 It’s the only member of a large, mainly-tropical plant family naturally residing in the United States, and it produces the largest edible fruit native to North America. 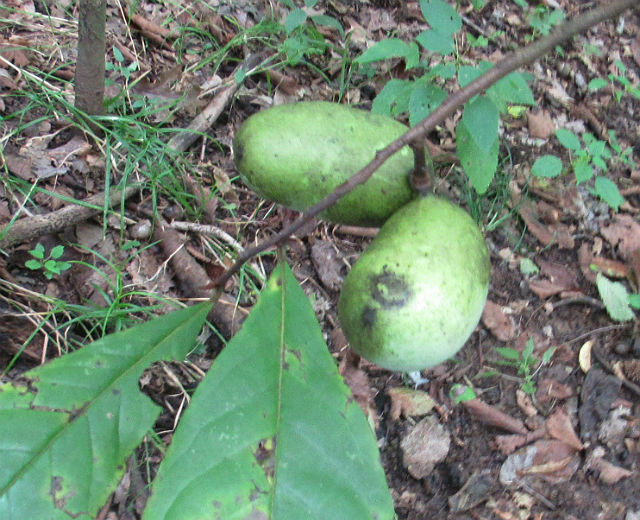 Pawpaw is a small tree, typically growing to a height of 35 feet. 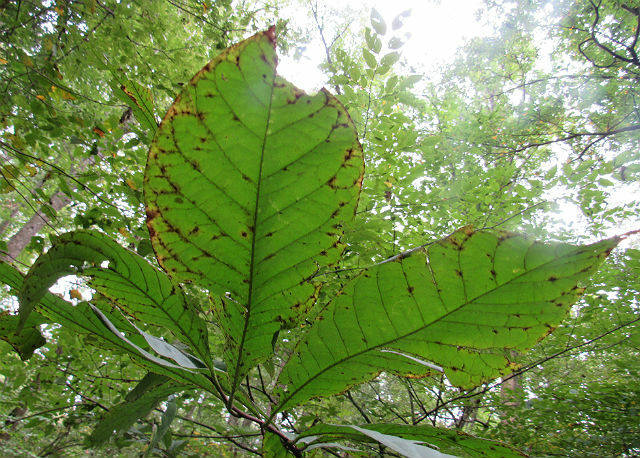 It tends to grow in the understory or at woodland edges, and is often found in moist places such as the bottoms of ravines, steep hillsides and on the banks of creeks. The fruit is fragrant and has a distinctly bright, tropical flavor, often compared to bananas, but with hints of mango, vanilla and citrus. It has the inelegant appearance of a small green potato and may occur in clusters on the tree. 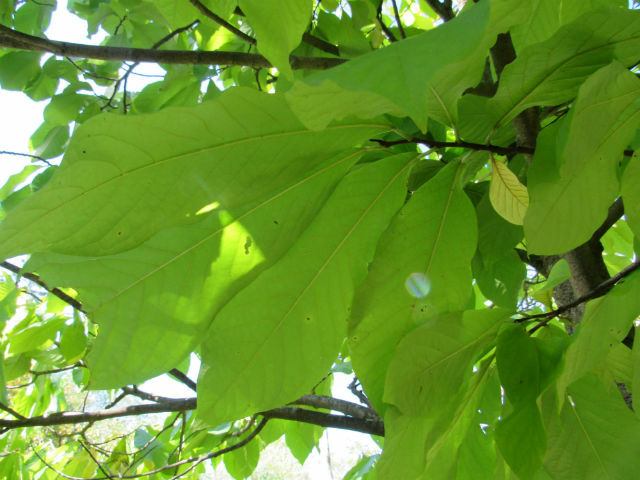 The dark green leaves (which turn yellow in Autumn) of the Pawpaw have a tropical look, with their large, shiny blades that are widest just behind the leaf tip. The leaves often hang down like “dog ears” from the twigs. 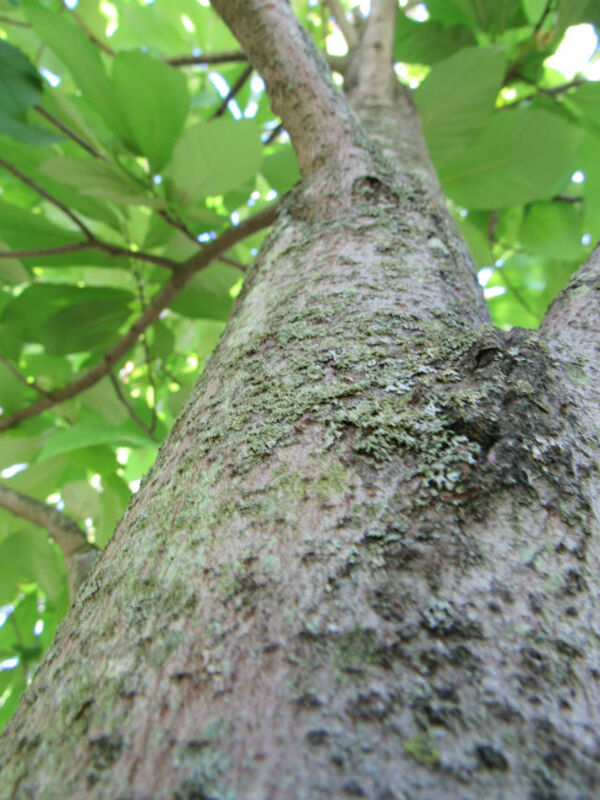 The smooth, thin, gray bark of Pawpaw becomes more warty and rough with increasing trunk girth. Larvae of the Zebra Swallowtail Butterfly feed exclusively on young leaves of Pawpaw, but never occur in great numbers on the plants. This tree is also known as Quaker Delight or Hillbilly Mango. 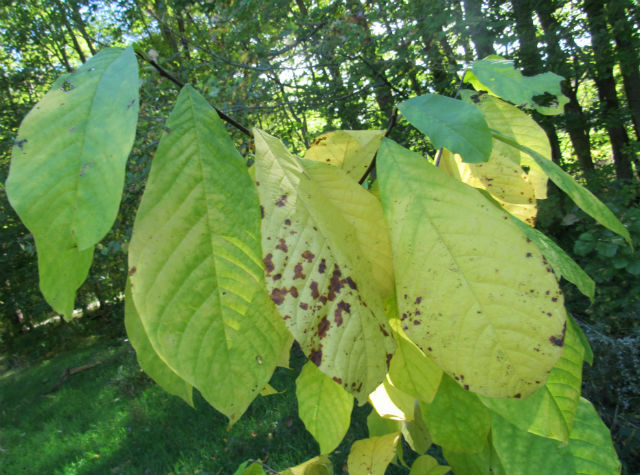 This entry was posted in Trees and tagged Pawpaw by tspuckler. Bookmark the permalink.